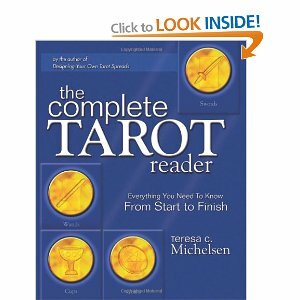 I've seen a few comments on my tarot-themed posts from people who have cards but don't really use them or aren't sure how to start, so I thought I'd share a few ideas for learning to work with them. This is acknowledged as one of the best tarot learning methods, adopted as course book by the Tarot Association of the British Isles. The book focuses on keywords for each card, showing you how to combine these with positional meanings (within a spread, each location will have a particular meaning or theme) and with other cards to produce an overall story. In an incredible display of generosity, Bunnings has made her book freely available online. Please don't make the mistake of thinking this means it's worthless: it's actually invaluable. Assuming you are in the UK, TABI are fantastic, with a lively forum, an excellent beginners' course and mentoring for more developed readers. You can also join their team of readers providing free readings via the website, which is a brilliant way to hone your skills. 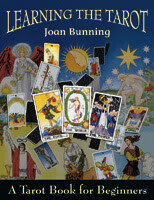 (If you're in the USA, the ATA - American Tarot Association - seems to be an equivalent, although of course I have no personal experience of them). This book is as comprehensive as the subtitle sounds. It's also very detailed, going way beyond the basics without requiring any prior knowledge. I'll feature more in-depth reviews of decks and books as the blog develops, so there will also be something here for the more experienced reader. If that's you, I'd also recommend checking out my blogroll, as there are several good tarot blogs there.